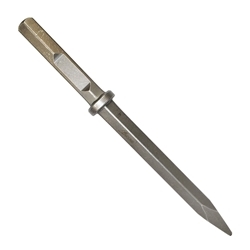 Superior Steel SC92861 Bull Point 1-1/8" Hex Shank 21" Long. 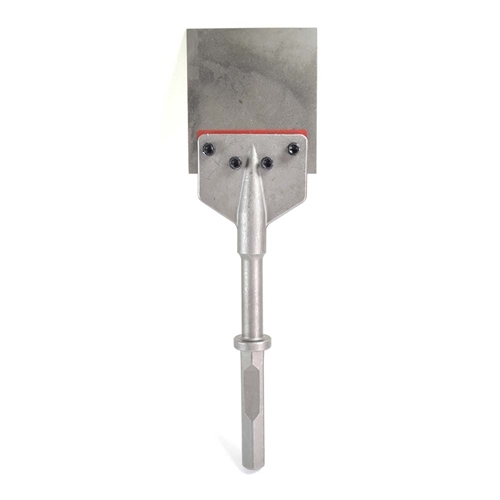 Designed for use with most Rotary hammers.A full assortment of hammer steel points and chisels.We brings innovation to concrete and masonry drilling with increased efficiency and higher durability. Add versatility to your rotary hammer with a wide variety of specialty bits. 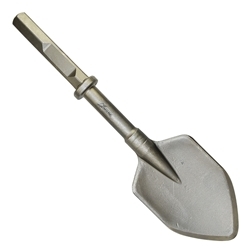 Digs clay, hard-packed gravel and dirt Fully hardened steel body avoids breakage and delivers increases life and durability. Hardened steel design stands up to the toughest daily use. For concrete removal, hard surface break up and chieseling.For light chipping and chiseling of tile, mortar, glazing compounds, and other masonry products..
Superior Stelel SC92863 2" x 1-1/4" Narrow Hex Chisel 1-1/8" Hex Shank 16" Long. Designed for use with most Rotary hammers.A full assortment of hammer steel points and chisels.We brings innovation to concrete and masonry drilling with increased efficiency and higher durability. Add versatility to your rotary hammer with a wide variety of specialty bits. Digs clay, hard-packed gravel and dirt Fully hardened steel body avoids breakage and delivers increases life and durability. Hardened steel design stands up to the toughest daily use. For concrete removal, hard surface break up and chieseling.For light chipping and chiseling of tile, mortar, glazing compounds, and other masonry products. 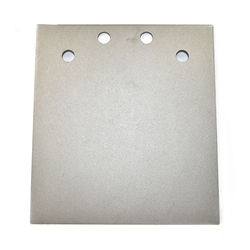 Superior Steel SC10018B 5" x 6" Replacement Blade For SC10018. 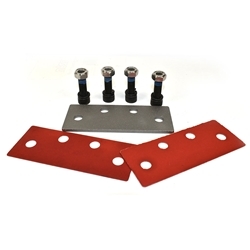 Superior Steel SC10018R Repaair Kit For SC10018. Fits most of hammer and demolition drills. 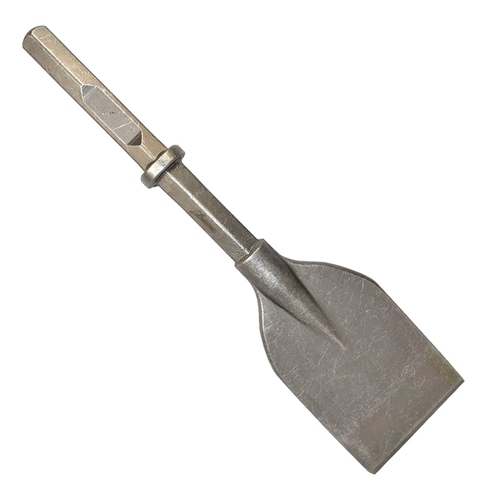 Superior Steel SC92170 Pointed Clay Spade 7-3/4" x 5"1-1/8" Hex Shank 18" Long. Designed for use with most Rotary hammers.A full assortment of hammer steel points and chisels.We brings innovation to concrete and masonry drilling with increased efficiency and higher durability. Add versatility to your rotary hammer with a wide variety of specialty bits. Fully hardened steel body avoids breakage and delivers increases life and durability. Hardened steel design stands up to the toughest daily use. Superior Steel SC92167 Asphalt Cutter 6" x 5" 1-1/8" Shank 19" Long. Designed for use with most Rotary hammers. A full assortment of hammer steel points and chisels.We brings innovation to concrete and masonry drilling with increased efficiency and higher durability. Add versatility to your rotary hammer with a wide variety of specialty bits. Digs clay, hard-packed gravel and dirt Fully hardened steel body avoids breakage and delivers increases life and durability. Hardened steel design stands up to the toughest daily use. For light chipping and chiseling of tile, mortar, glazing compounds, and other masonry products. Superior Steel SC10018 5" x 6" Floor Scraper Head. 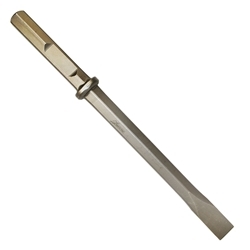 The Floor Scraper is part of a full line of carbide bits, carbide cores and steel points and chisels for hammer drills, rotary hammers and demolition hammers. Provides easy removal of floor coverings such as tile, carpet, adhesives and more. Size: 6 in. x 25 in. Superior Steel SC92167L 1-1/4 Inch Hex Shank Asphalt Cutter 6-1/2 Inch x 4-3/4 Inch 18 Inch Long. Designed for use with most Rotary hammers.A full assortment of hammer steel points and chisels.We brings innovation to concrete and masonry drilling with increased efficiency and higher durability. Add versatility to your rotary hammer with a wide variety of specialty bits. 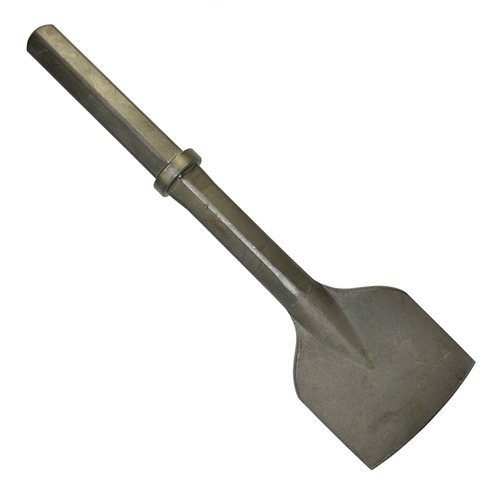 Digs clay, hard-packed gravel and dirt Fully hardened steel body avoids breakage and delivers increases life and durability. Hardened steel design stands up to the toughest daily use. 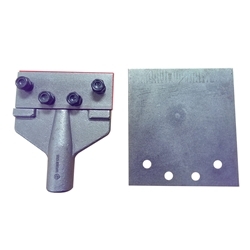 For light chipping and chiseling of tile, mortar, glazing compounds, and other masonry products. Used with large 60 lbs and 90 lbs Pneumatic paving Breaker. Superior Steel SC92100 1-1/8" Hex Shank For SC10018 Floor Scraper 16" Long.